We have made it to the Tucson area in Arizona and have gone birding in some of our favourite hotspots that we have visited before. 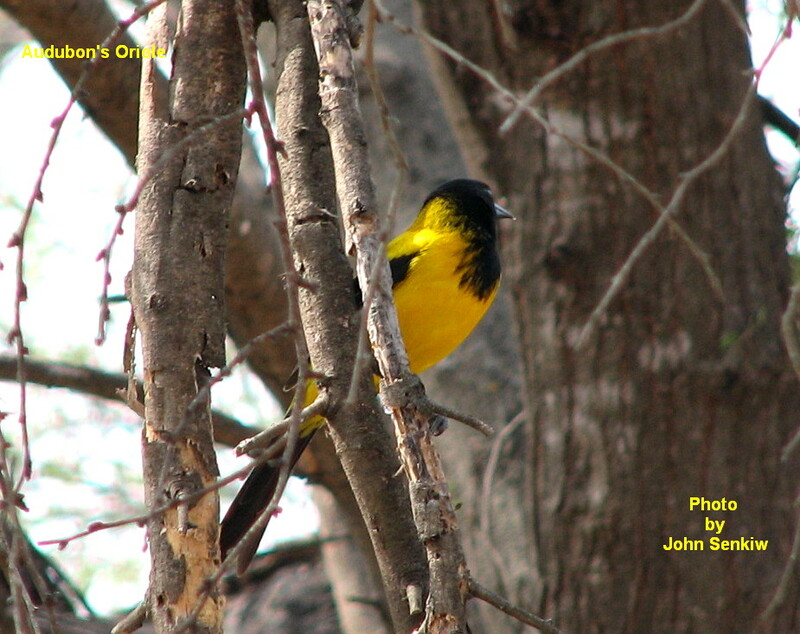 It has paid off as we have added two more species to our life lists – the Bullock’s Oriole and the Hepatic Tanager. 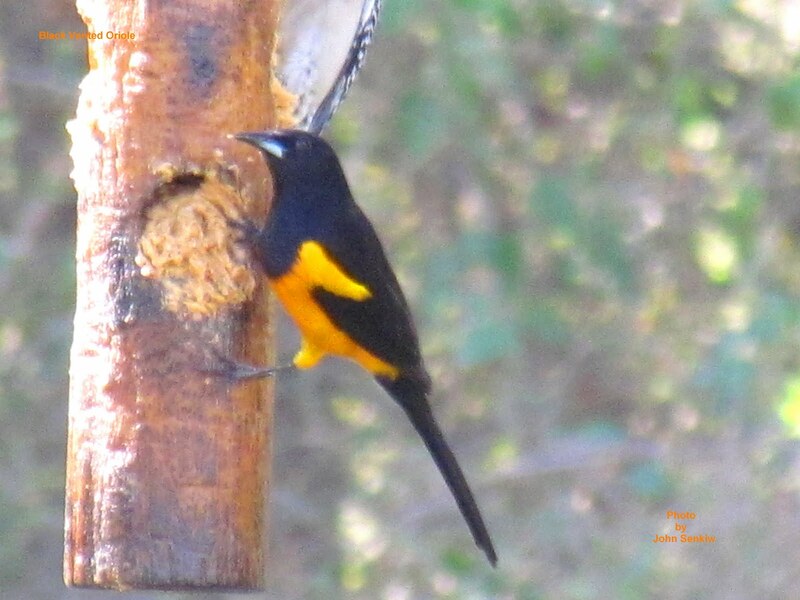 To birders it is always exciting to see new birds. 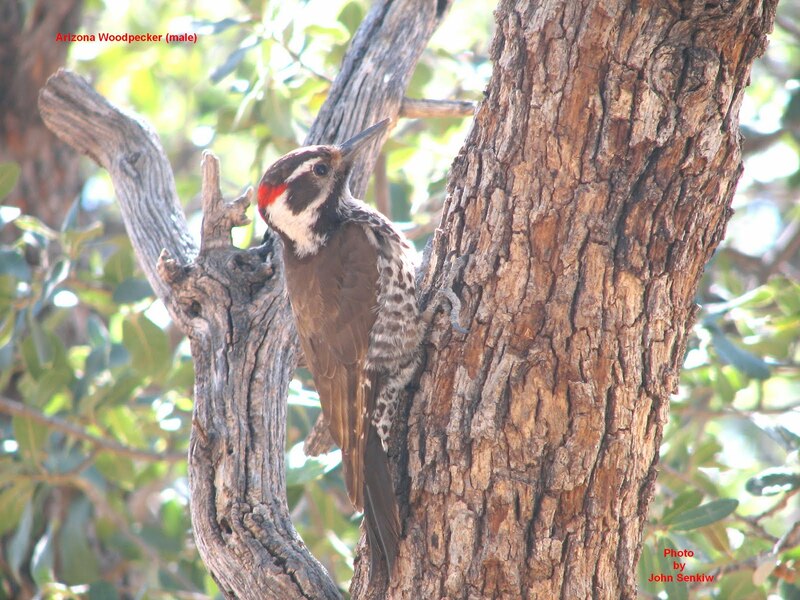 However, the bird that I am covering in this article is an Arizona specialty – the Arizona Woodpecker. The name says it all. Unlike most woodpeckers that are mostly black and white the Arizona is brown and white. In fact it is the only brown woodpecker in North America. In size, markings, behavior and vocalizations it looks just like a brown Downy Woodpecker and is closely related to it. Like the Downy the male has a red head patch while the female does not. Like the Downy it is also very confiding and will allow people to come quite close to it when feeding. To see an Arizona Woodpecker one has to travel to the desert mountains in southern Arizona. 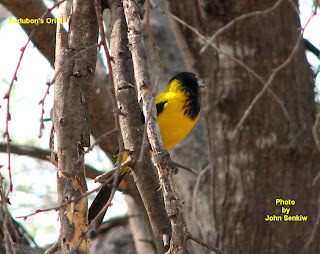 In valleys at upper elevations the temperatures are cooler and water is more plentiful providing an environment that sustains quite a luxuriant growth of both evergreens and deciduous trees providing ideal habitat for many subtropical birds including the Arizona Woodpeckers. Fortunately, there are many nature preserves in these mountains and as a result Arizona Woodpeckers are abundant here. This week’s picture was taken at a private residence about thirty miles north of the Mexican border. The photo shows an Arizona Woodpecker sitting just above a feeder waiting its turn to get at the food. Next week’s report will be from California.